In the first major job announcement since Rochester was named the site of the American Institute for Manufacturing Integrated Photonics (AIM) last July, NY State Governor Andrew Cuomo has announced that two large photonics firms are on their way, bringing hundreds of jobs with them. "It's a $1.6 billion investment and [means] 1,400 new jobs are coming to Rochester," Gov. 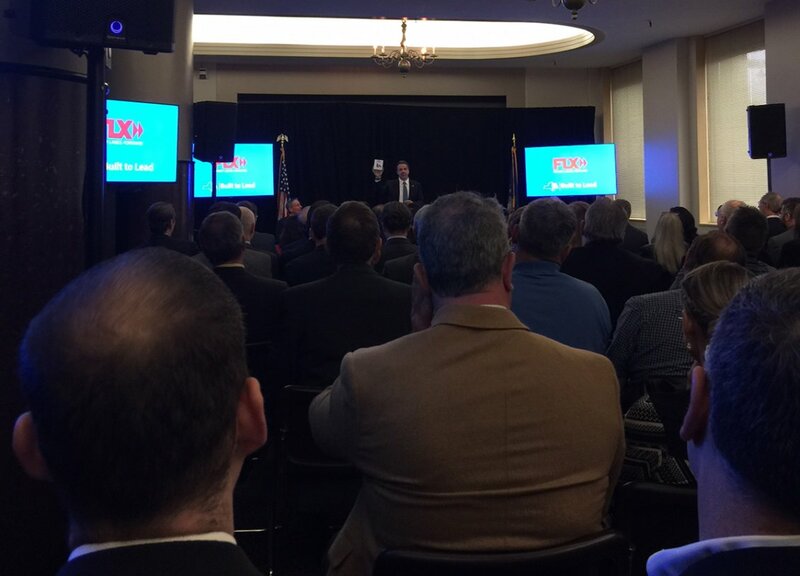 Cuomo said in a conference at Eastman Business Park Wednesday, March 16th. The two companies are Photonica Inc., based in Beverly Hills, CA., and Avogy, Inc., based in San Jose, CA. Avogy is planning to move its entire operation to Rochester, Cuomo said. Avogy makes power sources for electronic devices such as computers and smart phones. It is moving here to use the next generation of optics – known as photonics – to develop cells that can power electronics using light. It will make the chargers much smaller, light weight, and capable of powering for weeks or months instead of hours or days. "We have a plan to make sure we set up our facility here and once we do that we can (start) hiring people,” CEO Dinesh Ramanathan said. Those jobs, initially numbering about 200 and growing to 400, will pay approximately $80,000 a year, he said. Some of those will eventually be located at Eastman Business Park where the company will set up its manufacturing operations. Rochester’s Photonics Institute designation played a role in his company’s decision to relocate to the area. "You have a university that does good work and a lot of excellent facilities here," Ramanathan said. "Creating a hub means there is a significant amount of talent that will drive the workforce." New York State will invest $75 million to create research facilities at Canal Ponds Park to help develop new technologies, and provide equipment and advanced manufacturing upgrades at Eastman Business Park. That money is part of the $250 million originally pledged to attract federal money for the Photonics Institute. "(Rochester) will become the center for R & D," Cuomo said. "The companies then come for the clean room and research capacity and that generates a whole cluster economy around that asset." Photonica creates video displays, routing applications for telecom, and photonic integrated circuits. The company will remain in California, but it has agreed to develop new products in Rochester and create 400 jobs over the next five years. The remaining 600 jobs will come from ancillary services from other local firms to support the work of the two companies. The Governor’s news release is available here.